This bronze industrial three-light pendant comes with complementary Edison style LED bulbs. Add a vintage flair to your home with this rustic farmhouse pendant light. This Franklin Iron Works design offers a modern interpretation of a classic urban-industrial style. It comes in a painted bronze finish and features a prominent round seedy glass shade. As an added bonus, this three-light pendant light comes with compatible energy-efficient LED light bulbs in a classic Edison style that are sure to add a nostalgic glow. 19 1/4" high x 16" wide. Canopy is 5 1/4" wide x 1" high. Glass shade is 16" wide x 7" high. Weighs 10.4 lbs. Comes with 6-feet of chain and 12 1/4-feet of brown wire. Sloped ceiling adaptable. 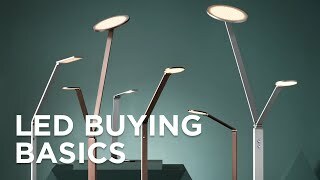 Uses three maximum 60 watt standard-medium base bulbs. Includes three 7 watt dimmable LED bulbs in a vintage Edison style and 2200K color temperature. 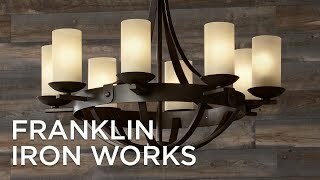 Rustic farmhouse industrial three-light pendant light from the Charleston collection by Franklin Iron Works™. Painted bronze finish over iron construction. Seeded clear glass shade. Could this be used as a small chandelier over a 60 inch table, or is it too small? More of an over-the-counter pendant? BEST ANSWER: Hi, for a table this size we recommended going with a light that is bigger. It is actually very large for a pendant and would look beautiful over a table. I get a ton of compliments on this light. It is really pretty in person! Dose it have a clear glass option? BEST ANSWER: Hi - I am sorry, this is only offered with the clear seedy glass. Does the 19 1/4" height include the 5 links of the chain shown? Is there a way to remove any of those links so it's closer to the ceiling? BEST ANSWER: Hi - the overall height does not include the chain. You have 6-feet of adjustable chain included. You need at least 1 link to attach the wireway loops. Ours with the 4 links from the ceiling mount to the bottom of the fixture is 27 1'2" from an 8' ceiling. Yes you can remove and adjust the length of the chain. We used two screw drivers to twist to open and close the loop. Quite easy to do. Possini Euro Maxine 16"W Painted Bronze 3-LED Pendant Light - Style # 24J55 does this color match most oil rubbed browns or is it darker? BEST ANSWER: Hi Becky - each manufacturer has their own take on what bronze or oil rubbed bronze tones look like. But, this would generally compliment most other bronze finish fixtures very well. Is this item UL rated? BEST ANSWER: Hi, the chandelier is only ETL listed. Very pleased with this light. Good quality and well designed! I love this light and have received numerous compliments. It’s perfect in over my kitchen table and in front of my picture window. Very bright which I love.